Goyo Travel is a fresh, dynamic company run by a small team of enthusiastic travel professionals. What is the significance of an ovoo? Is that an Ibex on the top of that hill? What time does the hot water come on? Why is Naadam celebrated in July? What period do deerstones date from? How deep is Lake Khovsgol? Is it going to rain tomorrow? Can you arrange for me to see a shaman? Where can I get my camera fixed? Could I have an extra blanket? Is it possible to get a better table? Just a small handful of things a guide may be called upon to know - and not because they may be asked these things. If a guest needs to regularly ask these sorts of questions of a guide, then they are not a good guide, and certainly not what we expect from a Goyo Travel guide. A Goyo Travel guide will be one step ahead - giving guests information before they are asked. Guiding is about anticipation, responsibility, organisation, planning and leadership - and should always, by definition, be one step ahead. 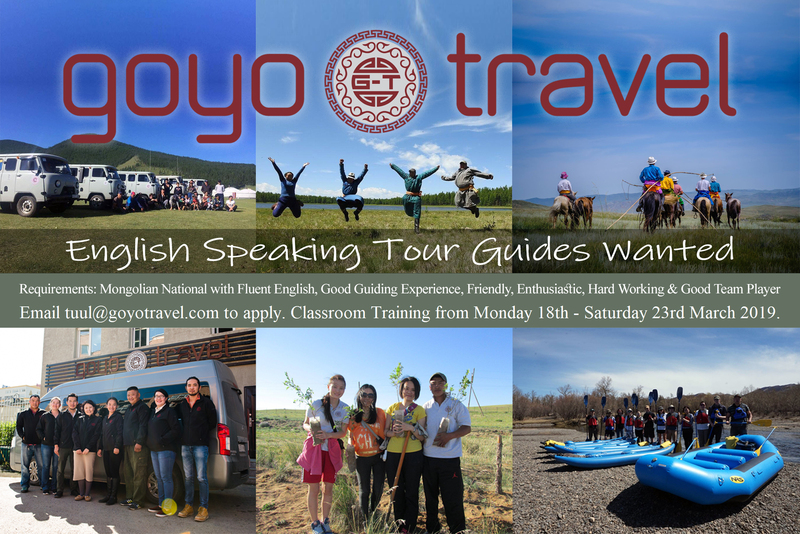 We are currently recruiting local Mongolian guides to lead a wide variety of trips - from city tours, to extensive overland journeys, from cultural trips to active outdoor adventures and expeditions. If you have the experience, knowledge, character, pro-activity, organisation, communication & diplomacy skills, patience, humour, enthusiasm, plus good spoken English (or other foreign languages) and are interested in joining our elite team of guides, then we want to hear from you. 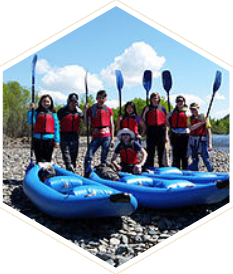 We also have a few openings for trainee guides - raw recruits who are willing to learn and have the innate talent it takes to become an outstanding guide. Contact tuul@goyotravel.com to register your interest and to request an application form. We are always on the lookout for tour guides with a specialism in a particular field - to help create itineraries for, and to guide, special interest trips. These could be activity focused - horse riding, climbing, kayaking; or subject-focused - bird-watching, photography, architecture, Buddhism, botany etc. Specific themed trips within a wider subject are always interesting for us, providing we (or the leader themselves) has access to niche clientele who would fill such trips. 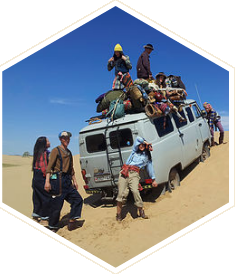 Examples might be photography trip entitled 'Desert Portraits - Nomads of the Gobi', or a botany trip dedicated to wild flowers of the Siberian Taiga. Goyo Travel welcomes the opportunity to work with a select group of like-minded travel companies around the world who require a local Mongolian partner to fulfil their ground operations.We can provide exclusive bespoke partner-branded tours at cost-effective rates, as well as working with agents to promote existing Goyo Travel products on a commissionable basis. Please get in touch at olly@goyotravel.com if you would like to become a partner or agent representative. We are looking for an outgoing, dynamic, intelligent and easy-going assistant/tour host to work in our office in UB and also go on some of our trips as an extra pair of hands. May to September ideal, June-August essential. Our ideal candidate will multi-tasking & multi-faceted, and not afraid to take on any challenge or job that we throw your way. Picking up guests, researching hotels, errands around town, leaflet drops, sorting trip equipment, shopping, inputting accounts, updating the website, coming up with new ideas.....plus heading out on trips to the countryside which might be research-based, or helping as assistant or cook on a larger group trip. An interest in outdoor activities such as riding and kayaking, plus photography, design, gadgets (video, GPS, mapping) is a bonus! 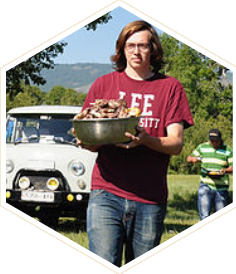 Living expenses and travel in Mongolia all included. The role would ideally suit anyone looking to gain experience in the day-to-day operation of an adventure travel business, or someone who already has experience but has time available - due to a sabbatical from existing job, or extended holidays from e.g. teaching.